The South Gallia Rebels have a new crest to display proudly, as seen here. It is the choice of students and staff, and is the result of the collaboration between two students. Mendy Swords, left, and AJ Addis both won the contest to design the school crest with their submissions. The school used elements from both to create the final design. 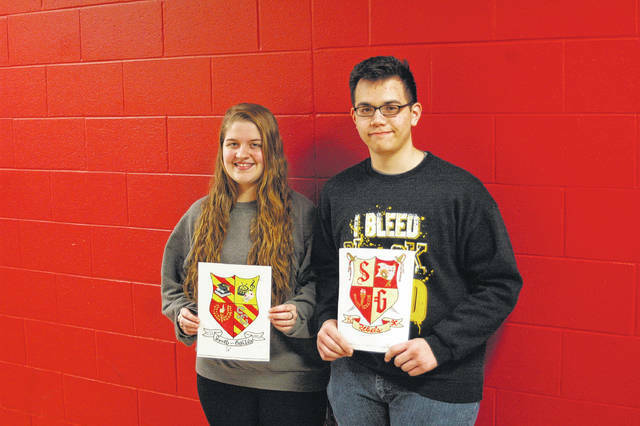 MERCERVILLE — South Gallia High School students have designed and chosen a new crest. Students from both the middle and high schools submitted designs and then voted for their favorite to represent their school. According to Teacher Dian Flemming, it is part of an effort to get students involved and invested in the school. “I know it’s just a simple crest, but so many people are going to see that and it’s going to be impactful and a point of pride,” said Flemming. The contest created significant excitement among students and teachers, who all participated in choosing the new emblem. Students voted and then a committee of teachers worked to select among the top four entries. Trey Johnson, Olivia Johnson, Mendy Swords, and AJ Addis were all voted into the top four for their work. Of the top four, Addis and Swords were chosen and merged together, using the best elements of both submissions. To have designed the school crest is something both Swords and Addis are proud to have done. Principal Bray Shamblin is particularly proud of Addis and Swords, and the excitement surrounding the new crest. 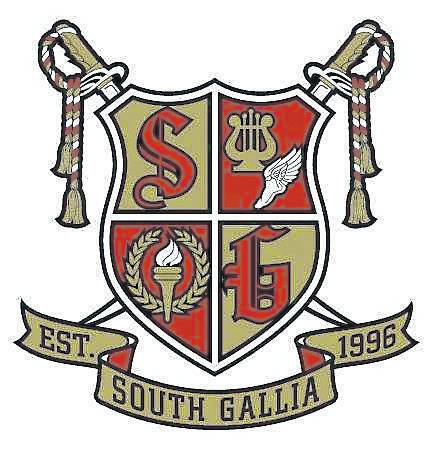 According to Shamblin, South Gallia has recently begun an initiative called “South Gallia Vision 20/20 Strategic Plan” in order to enhance school spirit. The new crest is one of several initiatives intended to promote student pride and school spirit. “I feel like I’ve left a mark on the school,” said Swords. Other school initiatives will be featured in an upcoming edition of the Gallipolis Daily Tribune. https://www.mydailytribune.com/wp-content/uploads/sites/42/2018/01/web1_SGHS-crest.jpgThe South Gallia Rebels have a new crest to display proudly, as seen here. It is the choice of students and staff, and is the result of the collaboration between two students.